Here is an example where this method has been implemented. I was unable to grasp the concept behind it, probably my basics are a bit rusty. By simply just associating a random variable (with an uniform PDF), how can we just make any random process a wide sense stationary process? Whats the concept behind it? where $\theta$ is a random variable uniformly distributed on $[0,T]$ is WSS. This random phase reflects our uncertainty about the phase of the signal, i.e., about the origin of the time axis. In this sense, it is physically motivated, and not just a nice "trick" enabling us to compute the power spectrum of $(2)$. Not the answer you're looking for? Browse other questions tagged digital-communications power-spectral-density random-process stationary or ask your own question. 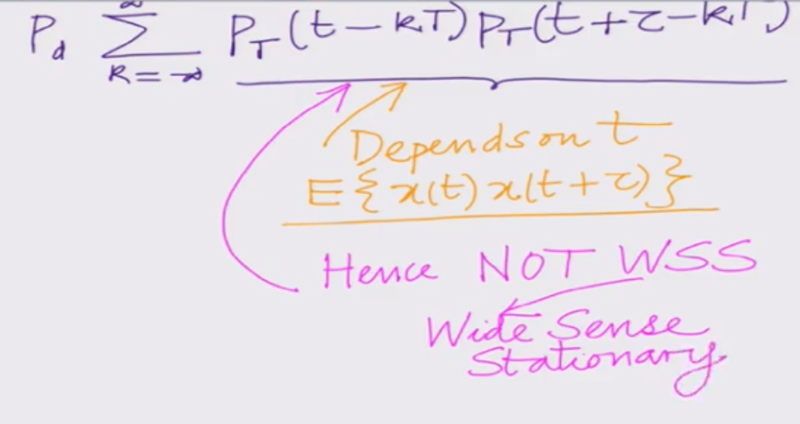 What is the difference between wide sense and strict sense stationary processes? If the mean of a random process is constant, does it imply the process is first order stationary? 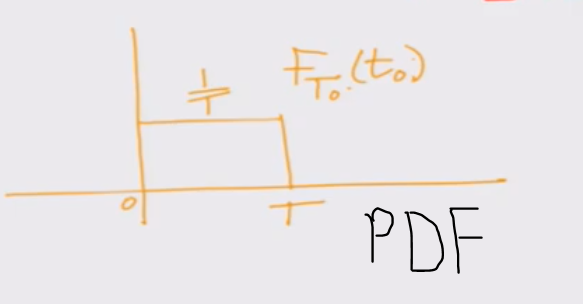 Random Signals - statistical properties are time dependant? Can spectral density be a complex quantity?